AlphaBiolabs’ Walk in Centre in Jesmond* is bringing rapid DNA testing to the North East of England. A range of DNA testing services are available including Paternity, Maternity, Sibling, Aunt/Uncle, Grandparent, Y chromosome and Zygosity (twin) testing services. A non-invasive Prenatal test can also be arranged to determine the paternity of a baby before birth. The Peace of Mind DNA tests only involve swabbing cheek cells and can be taken at home or at the Walk in Centre. When the samples are received back in the UK-based laboratory, test results can be made available the same day or next working day. DNA testing for legal purposes, such as for immigration, can also be arranged at the Walk in Centre following strict chain of custody conditions. The Walk in Centre is staffed by highly experienced sample collectors who understand the importance of confidentiality, accuracy and sample integrity. Legal test results are recognised and admissible to UK courts, the Ministry of Justice, UK Passport Office, UK Border Agency and the UK Visas and Immigration service. 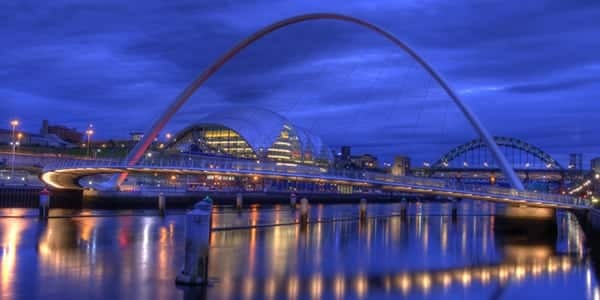 For information on DNA testing in Newcastle upon Tyne, please contact AlphaBiolabs on 0333 600 1300, email info@alphabiolabs.com or visit our website www.alphabiolabs.co.uk. *The Osborne Clinic is located at 22 Osborne Avenue, Newcastle upon Tyne NE2 1JQ and is open every Wednesday from 9.30 am to 4.30 pm. For appointments outside these times, please contact our Customer Services team on 0333 600 1300.